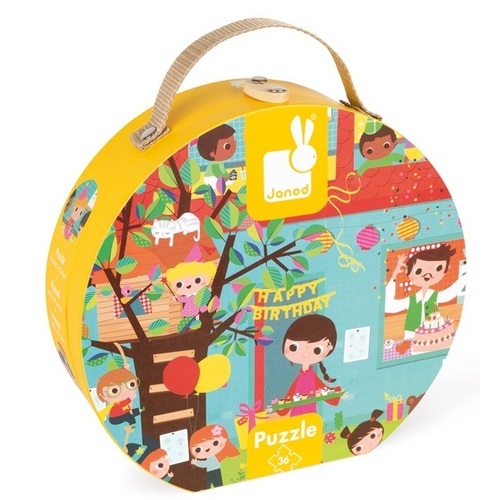 Happy Birthday to you, this puzzle is too cute, it comes in a suitcase, your friends will want one too! 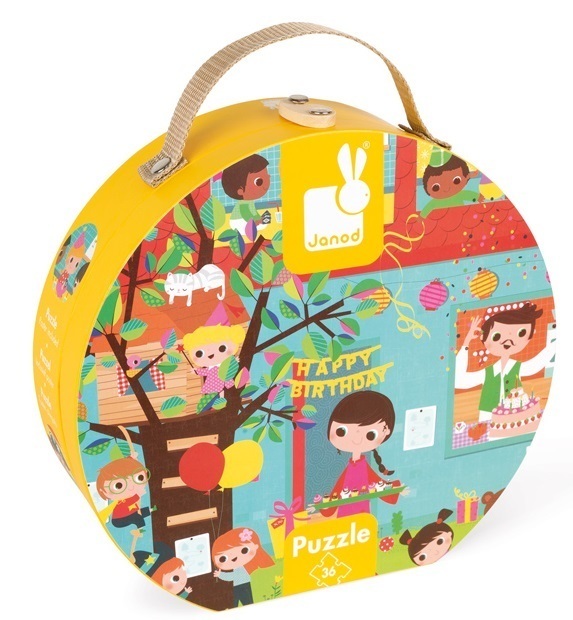 Let's celebrate the Birthday Suitcase Puzzle from Janod. 36 jigsaw pieces that when put together form a shaped picture that portays a birthday party with all the trimmings. 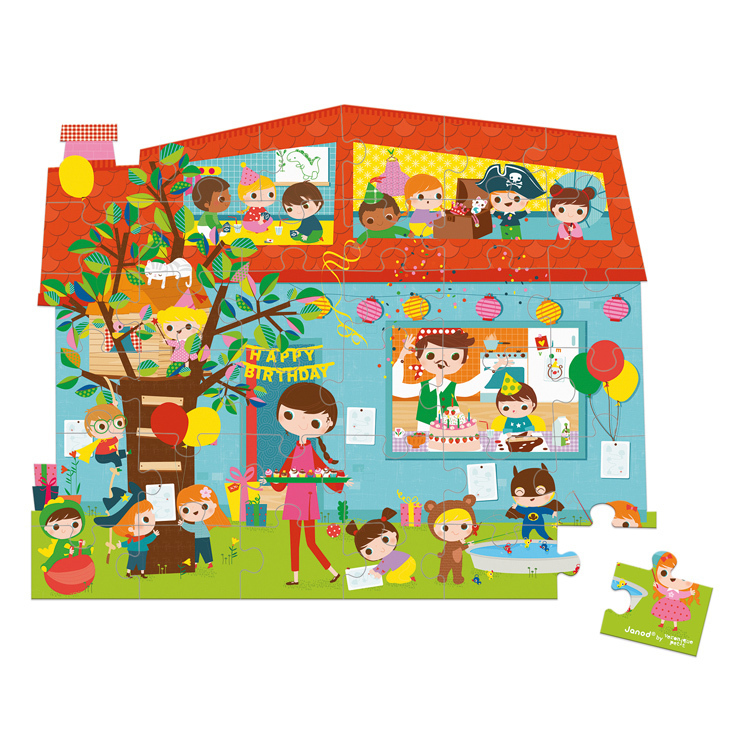 A cake, balloons, gifts and games, what more could you want? 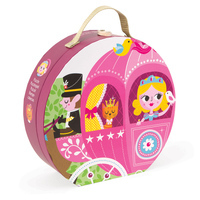 Made from sturdy card it includes a poster to help decide which piece goes where and a suitcase box to store neatly away!